Full color imprinting and 128GB of data storage. Each year it seems USB drives get better. 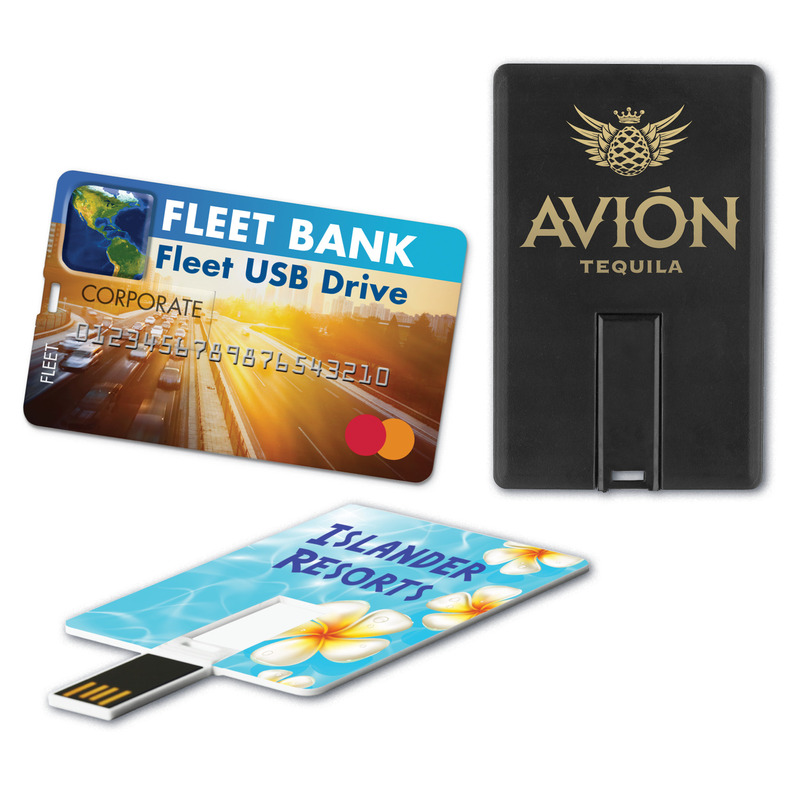 Now we are seeing a 128GB, yes GB, credit card model from All-in-One Line that features their amazing full color VibraColor imprinting process, on one, or both sides. I will becoming back to full color imprinting a lot on this blog, because we are talking about promotional items, and the ability to run full color art on products is a huge help when branding, because your creativity is not limited. These drives can also be pre-loaded at the factory with up to 50GB of data, at no additional cost. Music tracks, short videos, at 128GB the USBTC Thin Card Drive™ TC provides a very small package to carry a heck of a lot of data. Think about it, and iPhone 6 has only 64GB of data storage, so whatever you can fit on the iPhone 6, double that fits on the 128GB the USBTC Thin Card Drive™ TC. Please contact us at info@proformagreen.com if you would like more information on the USBTC Thin Card Drive™ TC .